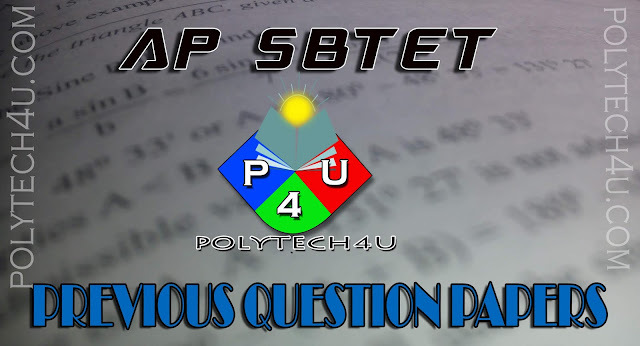 The SBTET-AP is conducted the DIPLOMA(POLYTECHNIC) Education.In diploma education the SBTET-AP conducts the exams in semester wise.The each semester is including the combination of technical subjects and laboratories.If you think for joining the diploma course then you attended the POLYCET(CEEP) entrance exams.The eligibility of POLYCET (CEEP) exams for entered in to the DIPLOMA Education is after completion of secondary education or intermediate education also. After completion of secondary education or intermediate education, you attended the POLYCET(CEEP) exam. In POLYCET(CEEP) exam you scored the above cut off marks then you attend the certificate verification with required certificates. Secondary School Certificate(SSC) marks memo. Study certificates (4th to 10th).